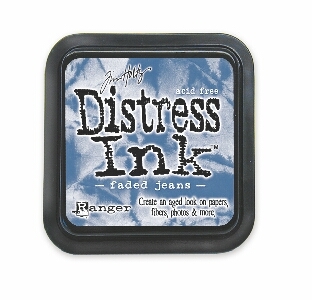 Tim Holtz Distress Ink Padsare designed to produce the faded, vintage effect that is so popular with crafters for their card making, scrapbooking and altered art. 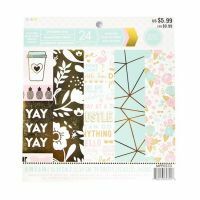 They can be used on card, paper, photos and decorative fibres. The 7.5cm x 7.5cm (3" x 3") pads are made with a higher raised felt for easier use with direct to paper techniques. 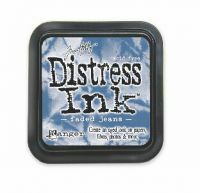 Acid free, non-toxic, fade resistant, water based inks. Faded Jeans is the colour of washed and faded denim blue.